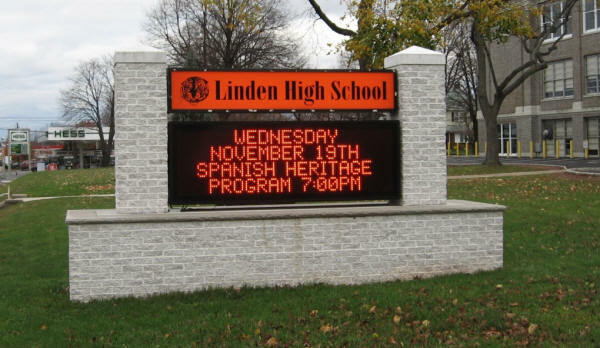 Outdoor LED EMCs bring excitement and high visibility to school communication programs. Affordable, state-of-the-art displays are used to promote school and athletic activities throughout the campus, and to the local community. 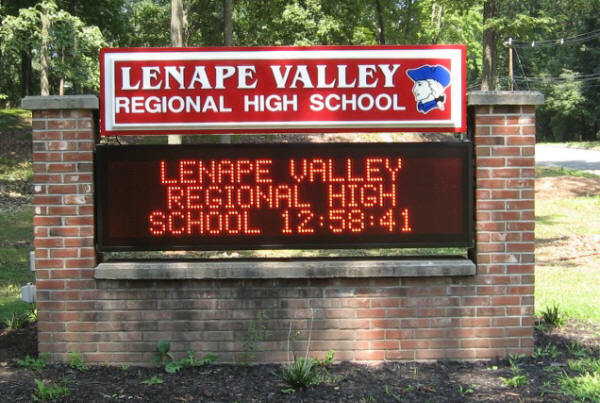 Used in combination with our messaging software, these highly visible message centers broadcast messages to students, faculty, employees and the surrounding community with an impact that cannot be ignored. ► Student activity announcements – outdoor and indoor in high traffic halls. ► Promote school spirit, sporting events and results to the entire community. ► Welcome important guests and groups to campus. ► Student union focus – announce schedule changes, cancellations, and timely information. ► Advertise promotions & product specials at book store counters. ► Display community involvement, arts and events – ticket sales. ► Draw attention with time, temperature and date information. ► Remind students about safety and security programs, amber alerts. ► Add to scoreboard systems to create spectacular displays. LED Digital communication networks used both indoor and out enhances and improves campus wide communication systems. ► Light color and motion demand attention and produce results. ► Recognize students, staff, and faculty at targeted locations. ► Instantly update bus schedules at bus shelters and high traffic walkways. ► Wired or wireless networks expand network capabilities campus wide. ► Solid state LED displays provide energy efficient communications 24/7. Create an exciting, unified, communication network throughout your campus. Use Salescaster EMCs outdoors on school monuments, roadside pylons, parking lots, and walkways between buildings. Add indoor Salescaster LED displays to; high traffic hallways, athletic scoreboards/locations, bookstores, student union boards and residence halls to complete the network. Contact a Salescaster representative 800 346-4474 today to learn how easy it is to use the power of LED EMCs to your advantage. We will provide you with a free site survey and ROI analysis based upon your particular location.